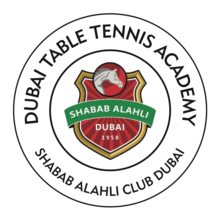 Dubai Table Tennis Academy in Al Shabab Club was founded in 2011 by a professional table tennis player, Wiktor Gniewek, who was part of National Team of Poland. It was the first international Table Tennis Academy in the region where people from all nationalities could practice daily and participate in many tournaments during the year. With its knowledge and expertise from its years of experience, Dubai Table Tennis Academy brings you high-quality training facilities, more professional coaches and great table tennis experience. Share your passion, improve your table tennis skills, meet new people, have fun and stay active! There is no age or skills limit, you can start with table tennis at any age and just keep improving at the center.